Product #22191 | SKU 2955H00460 | 0.0 (no ratings yet) Thanks for your rating! 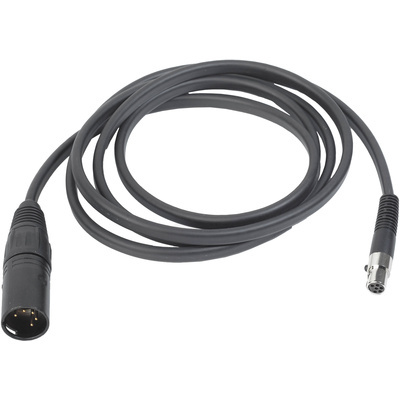 The AKG MK HS XLR 5D Headset Cable for Cameras and Intercoms with 5-Pin XLR Male Connector is designed to connect an AKG HSD 171 or HSD 271 headset to a camera or intercom system. The cable features a 6-pin mini XLR female connector for the headset and a 5-pin XLR male connector for the camera or intercom connection.